Join the cast and crew of IF YOU'RE GONE for the official Red Carpet Premiere on November 10th, 2018, at the Park Theater in McMinnville, Tennessee. We're bringing Hollywood to Middle Tennessee for a night you will never forget! 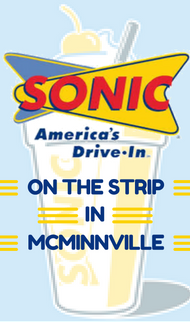 Dress to the nines and join us as we celebrate being back in McMinnville where the film was shot in Summer 2017, featuring many area locations and residents. All guests in attendance will have a chance to be photographed on the red carpet and purchase exclusive merchandise. Dove-Approved for All Ages. IF YOU'RE GONE is 2 hour faith-based drama/mystery that stars Masey McLain (I'm Not Ashamed), Desiree Ross (Greenleaf), Ben Davies (Courageous), Oscar Mansky, Jackson Kilburn and Burgess Jenkins (The Young and The Restless).